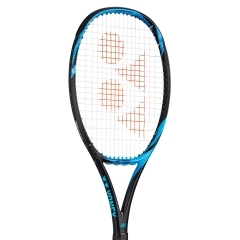 The new Blu colored Ezone 100 is now available in a Plus version! 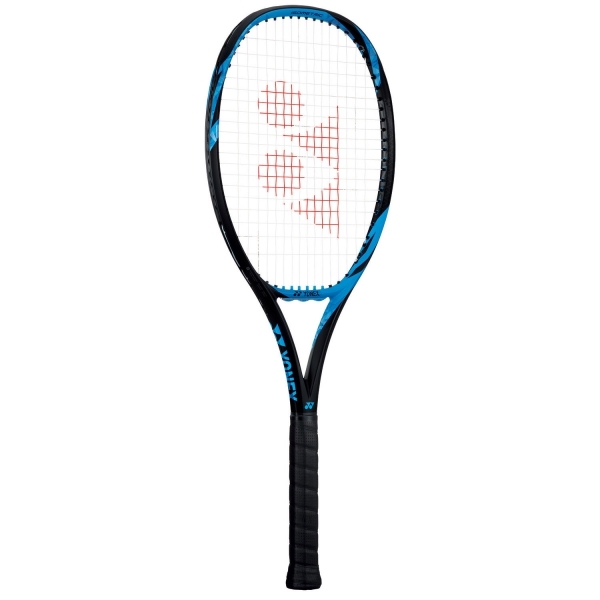 A further enhanced ISOMETRIC sweet spot extends deep into the upper section of the racquet resulting in the largest sweet spot in the EZONE series. 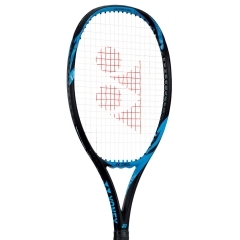 New HYPER-MG technology dramatically enhances snapback speed for explosive power even on difficult off-center shots and our newly designed MICRO OFFSET LAYOUT and QUAKE SHUT GEL AIR minimizes vibration and provides unmatched comfort. 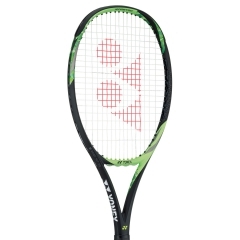 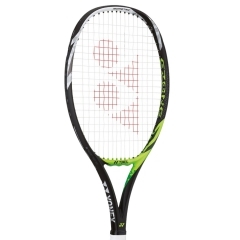 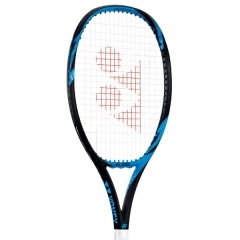 Developed to give you a non-stop game, this racket is lightweight and easy to handle making it the perfect choice to intermediate to advanced level players looking for more power in their game. 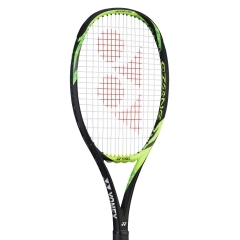 The Plus versioni s approximately 1,5 cm longer, generating more powerful shots. 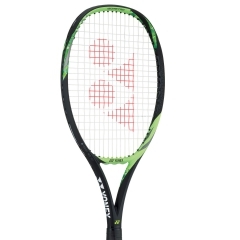 More power results in a small loss of manageability that can be easily recuperated after a few matches.